Eco-friendly is not a new phrase, yet it is still very misunderstood. When "going green" was first introduced many of its products or methods could be a little more costly than the less environmentally friendly alternatives. But as time and technology has moved forward, eco-friendly implementations have not only become more affordable, they have proven to save a lot of money in the long run. By checking out what other consumers and businesses have done all over the nation to save energy, you can get great ideas for how you, your family, and even your community and businesses can help the planet and keep an eye on the budget. For example, Jason Barbose wrote in SFenvironment.org that “The amount of solar energy produced in San Francisco has more than doubled in the last three years alone and has increased by more than 700% in the last six years”. 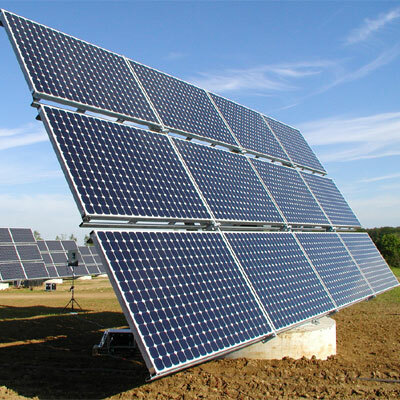 In fact, in the past decade, the cost of installing solar panels has actually been cut in half. But if you live in California and many other locations throughout the United States and still don’t have the money to buy panels, you can lease them for a fraction of the price. You save the environment without sacrificing your wallet. After a short while you will have excess energy the local energy company will purchase from you! You get maintenance and insurance on the panels. As the SFgate.com shared, “The home owner gets the savings without having to worry about the whole process”. According to solar.calfinder.com, an average family who installs a 3kw solar panel system can save about half the cost on their electric bill with just 6 hours of daily sunlight. When most people think of changing something personal to become more environmentally friendly they may think of buying a hybrid car, using less water, or changing their light bulbs and cleaning supplies. But when people in Atlanta decided to become more energy efficient, they thought of fashion! Chicago’s environmental commissioner, Sadhu Johnston shared with Time.com that he believes "cities are actually the answer to the earth’s environmental ills”. In fact, since 2006 Johnston has worked to help Chicago become one of the nation’s leading environmentally friendly cities. For businesses and residents alike, that means more choices for renewable energy. In the past few years, there has been an uptick in companies that families and business owners can connect with to start using cheaper alternative energy efficient sources. Take Your Pick...Just Do It! As you can see, there are a number of ways we can all work together to save money and the planet and you can find more info here to get energy saving ideas for your family and business. We can all start small by simply replacing current lighting with energy efficient LED bulbs or take some of these energy saving ideas from other regions of the United States. Putting money in home modifications, utilizing solar and supporting local businesses who offer low cost eco-friendly products are great ways to save money, and the earth, through energy savings.